Spring is officially here, and if you're like most people, you have some sort of spring cleaning routine in the works. Between vacuuming, dusting, and organizing, it's also important to pay attention to a system that's going to serve you as the weather continues to warm: your air conditioning. Spring is the perfect time to schedule an AC tune-up with your HVAC company. Your AC unit is a hardworking machine. It may not get up at 5 am and commute to work, but its parts move and work together to cool your home. Various fluids and lubricants help prevent wear and tear during this process. A tune-up involves ensuring that all of these parts are properly adjusted and well lubricated so that your AC unit can keep working effectively without risking a breakdown. During your tune-up, your HVAC technician will look over and adjust both the indoor and outdoor portions of your unit. The technician also will make sure your duct work is in good shape to properly carry the cool air through your home. Your AC filter, which is essential for trapping dust, mold spores, and other allergens, will be replaced or cleaned. By having your air conditioner tuned up every spring, you're ensuring that if there is any problem with your unit, it's caught before it becomes any worse. Basically, you're reducing your chances of suffering a surprise AC failure on a sweltering summer day. A well tuned-up air conditioner is more energy-efficient. According to the government website, Energy Star, utility bills could be reduced by up to 30% . Your cooling bills will likely go down as a result of the tune-up, plus your AC system doesn't have to work as hard when its parts are properly adjusted and well lubricated. Any clinking and clanging noises you've noticed will be a thing of the past. As you make your spring cleaning checklist, don't forget to include an air conditioner tune-up. Contact P.K. 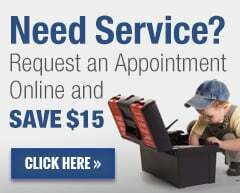 Wadsworth to learn more about our services or to schedule your tune-up today.